Dubai: The Indian cricket board, which transformed the international cricket scenario with Indian Premier League (IPL), is now set to also create a women’s T20 league along the similar lines. As a prelude, they are staging a women’s IPL exhibition match on Tuesday at the Wankhede Stadium ahead of the IPL 2018’s first qualifier match between Sunrisers Hyderabad and Chennai Super Kings. Twenty-six players, including 10 international cricketers from Australia, England and New Zealand will play in this one-off match. The players have been divided into the ‘Trailblazers’, led by Smriti Mandhana, and ‘Supernovas’ captained by Harmanpreet Kaur. 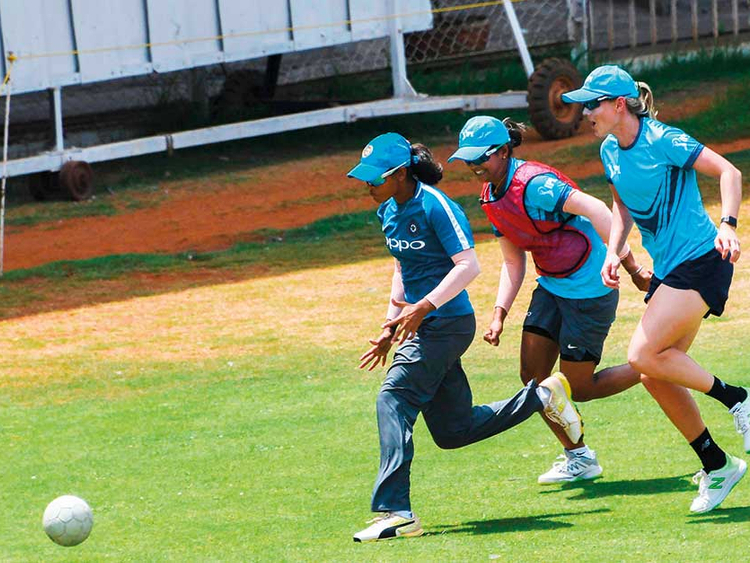 Trailblazers are being coached by Tushar Arothe, who was the Indian women’s team coach in the World Cup, while Supernovas are coached by Biju George, who was the fielding coach of the Indian team last year and the coach of rising Indian star Sanju Samson. Australia’s captain Meg Lanning will play for Supernovas along with England’s Danielle Wyatt and Mithali Raj. Ellyse Perry of Australia, hailed as the one of the finest all-rounders, is also in the squad along with Veda Krishnamurthy. Taniya Bhatia is the wicketkeeper. Trailblazers are made up of Australia wicketkeeper-batswoman Alyssa Healy and New Zealand’s star all-rounder Suzie Bates and India’s highest One Day International wicket-taker Jhulan Goswami.